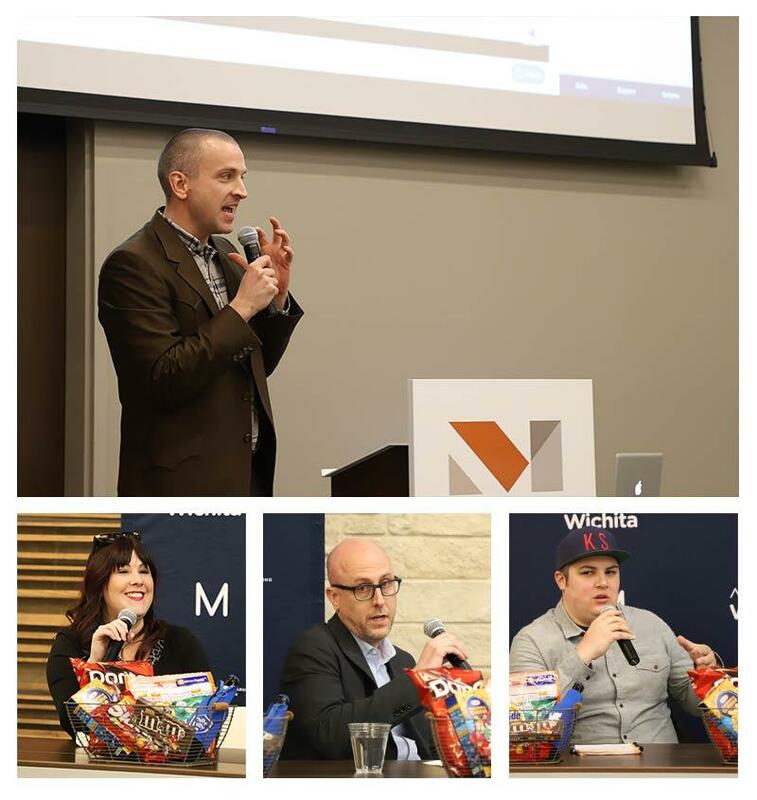 At the February luncheon, Jeremy Luginbill of Lifeboat Creative, Jonathan Wood of Howerton+White and Jennifer Cole of depICT Media shared behind-the-scenes insights and critiques of commercials from the Super Bowl. Aaron Wirtz of CurveBreak led the conversation, asking what modern-day marketers can do to stand out in broadcast advertising. Panelists noted that several brands used social media to generate buzz prior to the Super Bowl. Dundee is Fake. Alexa is Sick. Welcome to Super Bowl LII. Jeremy Luginbill highlighted Tourism Australia’s fake movie trailer for a Crocodile Dundee reboot, using various channels to hint at the punchline of their prime-time tourism commercial before game day. Tapping into the current trend of 80s-90s nostalgia with a cast of celebrity Australians including the original Dundee, “Dundee” garnered over half a million social engagements and was the second favorite spot among AMA poll participants at the luncheon. Jennifer Cole applauded Amazon for similar cross-platform engagement. Mid game, Amazon tweeted that followers should ask their Alexa devices to impersonate celebrity chef Gordon Ramsay’s accent. Soon after, the “Alexa Lost Her Voice” spot aired on the big screen with an angry Ramsay yelling about grilled cheese. Cole appreciated the carefully-timed layers of engagement between platforms, and 47% of participants in our live poll said it was their favorite spot. Cole also mentioned following the Twitter hashtag #BrandBowl throughout the game. As a social media marketer, she recommended exploring the latest Super Bowl ads and consumer responses in one place. Outside of strategic discussion, a few of the panel’s favorite spots were just fun to watch. Wood appreciated the energy of Toyota’s “One Team” storyline. Featuring a rabbi, a priest, an imam and a monk driving to a football game in a Toyota pickup truck, the spot was compelling without overtly pushing the product or a moral agenda. Luginbill added that Toyota’s subtle product play offered marketers a reminder not to take themselves too seriously. Luginbill thought Diet Coke’s Twisted Mango “Groove” spot showed a similar self-awareness. Featuring actress Hayley Magnus sipping a diet soda and dancing against a plain yellow background, Luginbill said its simple, eye-catching aesthetic stuck with him after the game. He noted that his teenage daughter – a prime example of Diet Coke’s target market for the new flavors – loved it, and he was reminded that sometimes creating something unique doesn’t require over-the-top production. Kraft’s “Family Greatly” spot got mixed reviews for a similar simplicity. While Kraft featured customer-generated images from a companion Twitter campaign, #FamilyGreatly, both Cole and Wood felt the spot missed out on an opportunity for greater social engagement. Wood brought up the challenge of engaging users’ content while staying on brand, and in the end, both gave points for an unfussy, heartwarming message. Wrapping up on a light note, Wood appreciated the personality of Quicken Loans’ Rocket Mortgage spot featuring comedian Keegan-Michael Key. Key followed people through everyday scenes, clarifying difficult information in layman’s terms – he quickly explained the “pea protein gluten-free paté” at a hip restaurant as “a burrito filled with plants pretending to be meat.” Key’s friendly problem-solving exemplified the utility of the online loan-application service and delivered just the right balance of humor and information to make an impact. Want to stay up to date on more conversations happening in our marketing community? Don’t miss this month’s luncheon, featuring Carrie Tippett, Vice President, Marketing Solutions at AMC Theatres. Find event details and register to attend here.